Made famous in the 1976 documentary Harlan County USA, this pocket of Appalachian coal country has been home to generations of miners―and to some of the most bitter labor battles of the 20th century. It has also produced a rich tradition of protest songs and a wealth of fascinating culture and custom that has remained largely undiscovered by outsiders, until now. 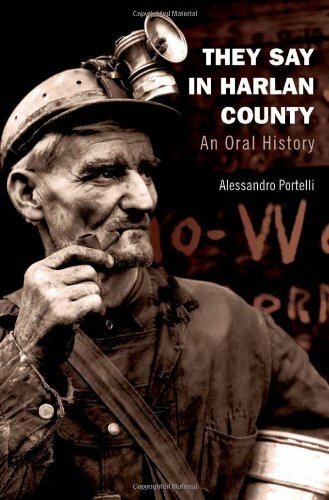 They Say in Harlan County is not a book about coal miners so much as a dialogue in which more than 150 Harlan County women and men tell the story of their region, from pioneer times through the dramatic strikes of the 1930s and '70s, up to the present. Alessandro Portelli, one of the giants of the oral history movement, draws on 25 years of original interviews to take readers into the mines and inside the lives of those who work, suffer, and often die in them―from black lung, falling rock, suffocation, or simply from work that can be literally backbreaking. The book is structured as a vivid montage of all these voices―stoic, outraged, grief-stricken, defiant―skillfully interwoven with documents from archives, newspapers, literary works, and the author's own participating and critical voice. Portelli uncovers the whole history and memory of the United States in this one symbolic place, through settlement, civil war, slavery, industrialization, immigration, labor conflict, technological change, migration, strip mining, environmental and social crises, and resistance. And as hot-button issues like mountain-top removal and the use of "clean coal" continue to hit the news, the history of Harlan County―especially as seen through the eyes of those who lived it―is becoming increasingly important. With rare emotional immediacy, gripping narratives, and unforgettable characters, They Say in Harlan County tells the real story of a culture, the resilience of its people, and the human costs of coal mining.